Sleekez vs Furminator - Which Deshedding Grooming Tool is Better? Will it work on other animals? Can it work on a rottweiler? If you have a dog with a thick coat, like a German Shepherd or husky, then I’m sure shedding is a constant issue you face. Wherever they walk, sit, or lay, they leave a trail of fur that is a pain to clean-up. But one item that has helped me limit the amount of fur my pet dog leaves around is my grooming tool. It helps me rid my canine of any shedding before it ends up on my furniture or floor. On the grooming market, the two brands that are regularly pinned against each other are SleekEZ and FURminator. Both are high quality when it comes to pet grooming, and we are here to help you evaluate their similarities and differences, to help you make a confident purchase, sparing you the feeling of buyer’s remorse. Specifically, we will look at the different sizes of each company has to offer, as well as differences in prices, durability, and design. Before we continue, there are two phrases we must clarify, brushing vs. de-shedding. While brushing detangles and removes topcoat debris, de-shedding removes the loose dead undercoat from the pet without removing or damaging the topcoat. When used as directed, undercoat deShedding removes most loose hair before your pet has had a chance to shed it on the surface of your home! Please continue to read more about our FURminator vs SleekeEZ guide. The Original SleekEZ is proudly based in the USA. The company was started, interestingly enough, by Jennifer Tipton, an equine dentist in Montana. However, she is also a proud owner of other pets, such as cats and dogs. As a pet owner, she constantly faced the problem of shedding and dander, and wanted to create something that could help mitigate that issue. As a result, SleekEZ was born and claims to produce one of the top shedding products on the market. Their products are uniquely designed with an exclusive metal blade featuring a tooth pattern, which is truly one-of-a-kind. More importantly, the company has a US patent on each of their products, which sets them apart from the competition in the grooming market. Don’t worry, at first sight, the metal blade may look like it may harm or irritate your pet’s skin, but these work wonders for shedding, and will not cut the fur or damage the coat. 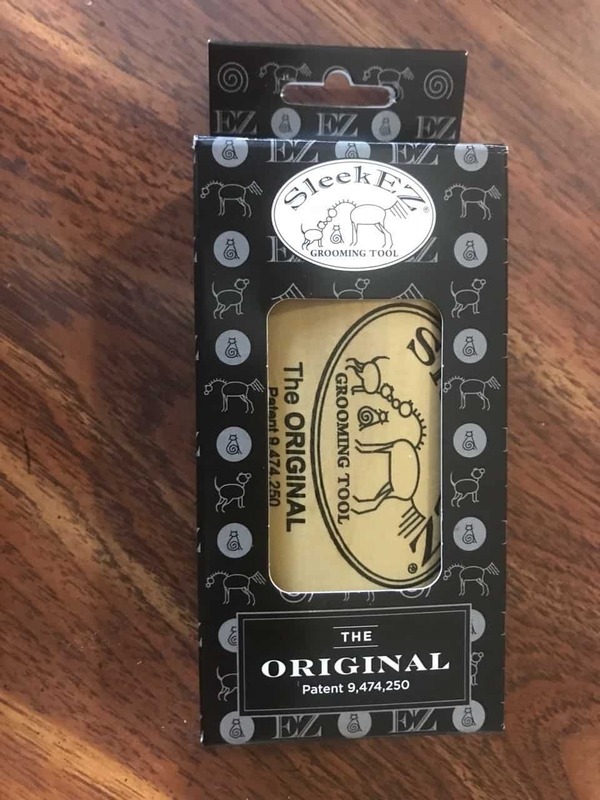 Originally, SleekEZ’s products were made specifically for horses, but due to the success of the product, it was adapted for other pets that shed, such as cats and dogs. Below we will go through each of SleekEZ’s line for shedding in depth. 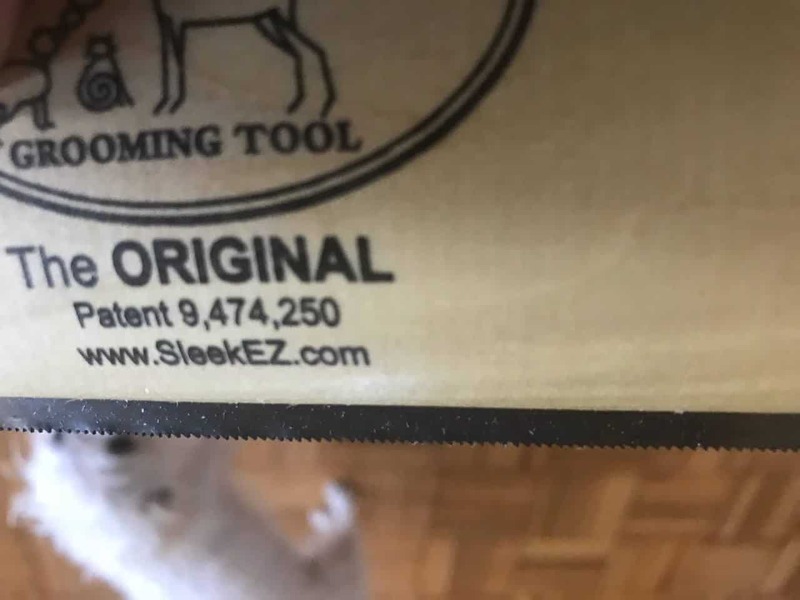 Before purchasing any SleekEZ tools, the manufacturer wants you to beware of counterfeits and knock-offs on the market. These fakes have been known to cut the skin of pets. This 2.5” tool is great for removing any type of shedding and reducing hairball hacking. I have 4 teacup chihuahuas, and they are probably the harshest critics and brutally honest when it comes to introducing them to new gadgets like this. But they melt in my lap, submissively turning belly-up when I use this comb on them. This product makes my life exponentially easier when grooming them, which used to be the hardest task to complete as their owner. Also, this product is not only useful for removing fur directly from your dog or cat, but it can also be used to remove hair that is left on upholstery, carpeting, pet bedding, etc. Of the three sizes, this one is perfect for canines and various types of coats that shed. 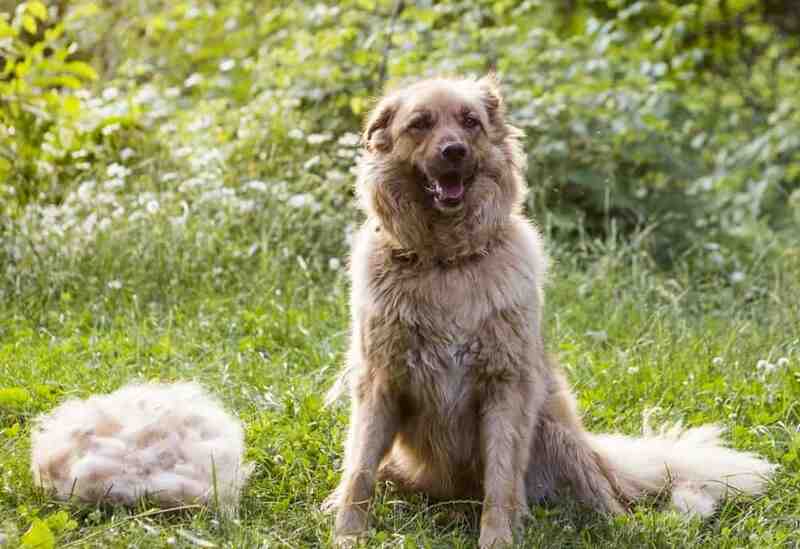 Within minutes, take your canine’s coat from looking shabby to shiny and sleek within minutes. Watch your pet’s shedding be rapidly reduced after just one use. It works great on dogs with short coats, long fur with a thick undercoat, as well as wire-hair. For example, people with canines that constantly shed, such as huskies, terriers, and German Shepherds, have all raved about this product, making life so much easier as a pet owner. This product, just like the others, with its patented wave pattern blade, will remove loose hair, dander, and dirt. More importantly, it will not pull hair or tug on your pet’s skin. However, the manufacturer wants its customers to know this is not a detangler. So, they advise not to use this product on dogs with human-like hair, such as a Yorkshires or Shih Tzus. 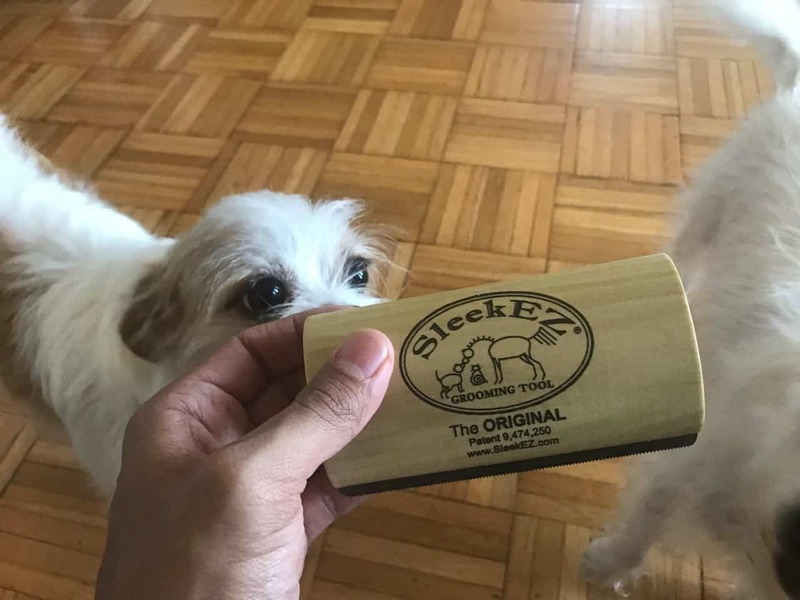 Just like the other grooming tools in the SleekEZ family, it is considered an animal product for the pet-friendly lifestyle. Which means you can use it to remove pet hair from upholstery, carpeting, pet bedding, and more. This is the largest of the three grooming items mentioned for Sleekez, measuring in at 10 inches. It is primarily made to use on horses and does the same job as the other products above. It features the patented wave pattern blade, shaped from premium high carbon steel. Due to its size, for great results, use two hands as you sweep the comb across your horse’s coat. Just like the others, it will quickly rid your horse’s coat of hair, dirt, and dander. The handle is made of treated poplar wood, which makes it perfect to use outdoors and will resist damage from the elements. The design of the handle makes it easy to grip and comfortable to hold during grooming sessions. The blade is gentle, yet very effective and will not damage your horse’s coat. It is perfect for horse’s with all coat types, long and short, no matter fine or coarse. FURminator is a company that has made all facets of grooming their priority. They have created an elaborate line of products that are almost tailor-made for all types of coats and degrees of shedding. 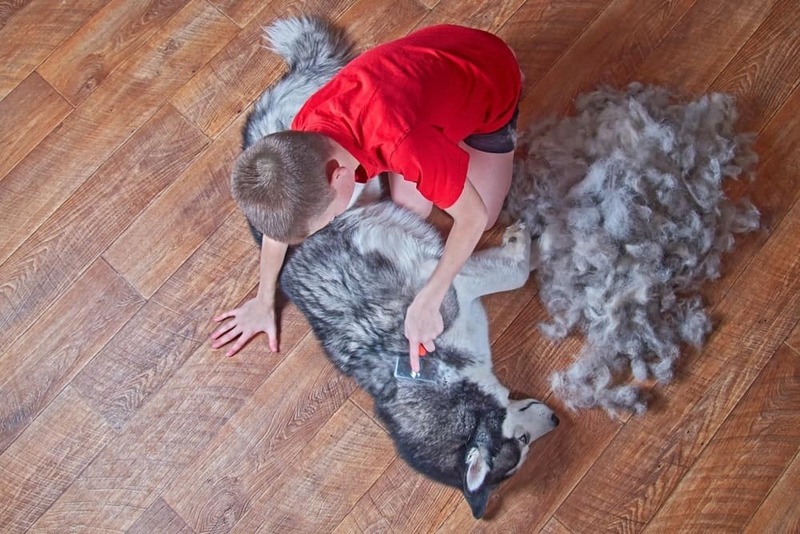 It would be impossible not to find a FURminator product to fit your needs and lifestyle. Products in this line consist of brushes and combs that you would use daily to on your pet. These products keep the topcoat looking nice, removing loose surface hair while keeping the coat clean of debris and free of tangles. This product line consists of tools used to de-shed, which removes the loose, dead undercoat without damaging your dog’s topcoat. These shampoos and conditioners promote healthy skin and coat, which reduces the amount of shedding hair of your pet. If you’re looking for different types of shampoos such as for specifically for shedding, then visit our guide. These products collect any hair that made it past the brush, de-shed, and bathing steps. This line includes variously sized vacuums and lint rollers to collect any shedding. All of FURminator’s de-shedding products, no matter the size, all share the same essential features that make this one so great. 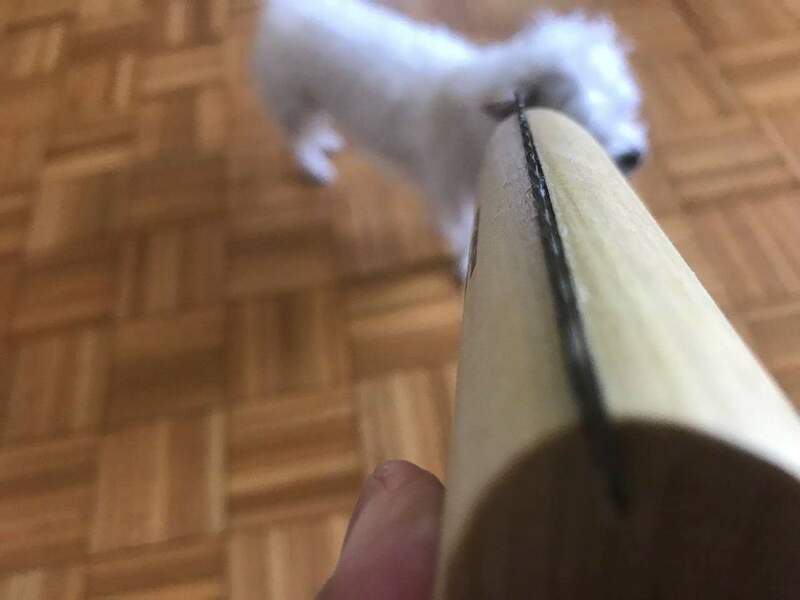 First, each one features a stainless steel edge that reaches down to easily remove any loose undercoat hair, without damaging the topcoat or cutting your pet’s skin. For effectiveness and comfort, the steel edge is curved to conform to the natural shape of your canine’s body. For added safety, this product features a skin guard or edge guard that allows the teeth to glide over your pet’s skin, without digging-in at the edges. Also, the edge guard protects the stainless steel teeth when it is stored or not in use. The handle is ergonomically shaped to fit your hand while you groom comfortably. Finally, a feature that I personally love is the Furejector button that easily and quickly releases the collected fur. All FURminator products come with a money back guarantee, which really gives you nothing to lose if you were to purchase this product. Before you purchase, it’s important to know which one to buy. Below are commonly purchased FURminator products for de-shedding various size dogs. All are guaranteed to reduce shedding by 90% after the first use. For dogs between 51-90 lbs., and hair longer than 2 inches. For Large dogs with Short Hair -For dogs between 51-90 lbs., and hair shorter than 2 inches. For dogs that do not exceed 10 lbs, and hair shorter than 2 inches. Both of these products are high in quality, and you can tell both were designed with care and precision. I’ve personally tried both of these products and can genuinely say both do an excellent job of easily removing any loose fur and dander from your dog’s undercoat. More importantly, I’ve noticed that after just one use of each product, the amount of shedding reduced significantly after just one use. What I also love is how both get the job done without damaging my pet’s skin or hair. However, even though these are both easy-to-use grooming tools, there are some differences to look at to help you make an informed decision on which one to buy. 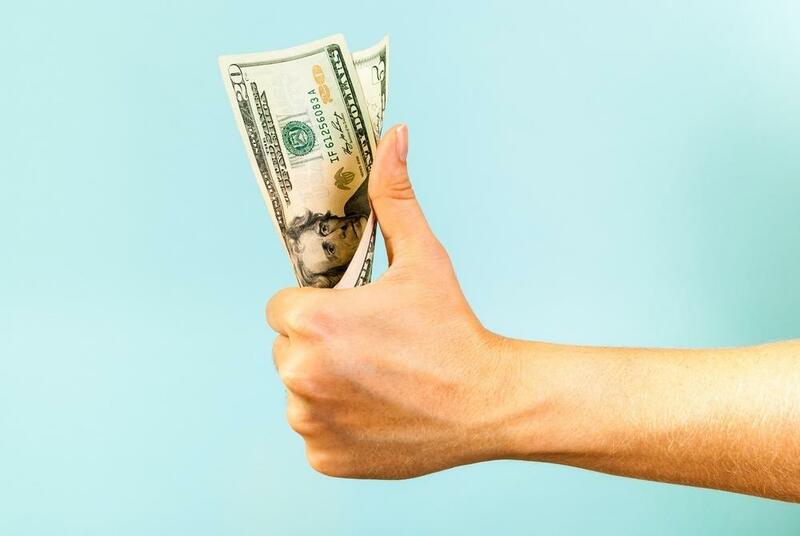 Both products are modestly priced, but worth the value you receive in return. SleekEZ generally comes at a lower price point from the Furminator. For the most part, both are incredibly durable, and customers seemed very satisfied with the durability of each product. However, one concern I have about the unfinished wooden grip is how it will do when exposed to water. I worry that the wooden grip will warp or decay after exposure to water. Few customers have noticed issues with the FURminator as well. 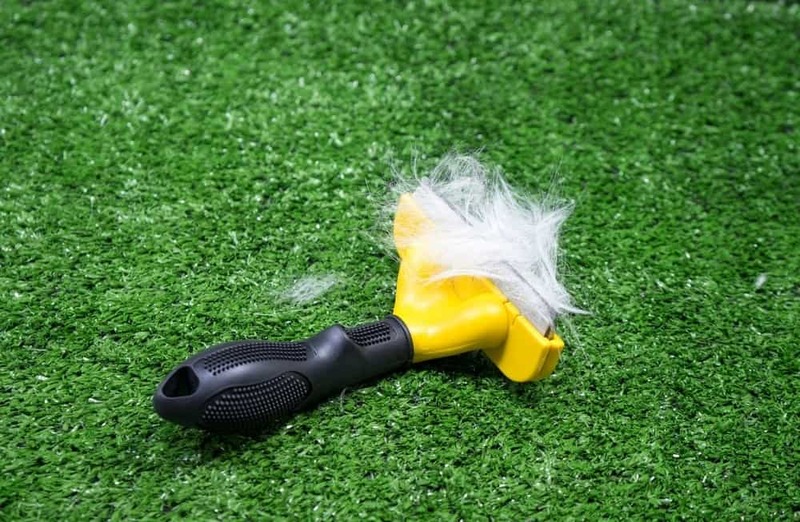 In comparison to the SleekEZ, the FURminator has more parts to it, and customers have pointed out that parts tend to come loose or break. For example, the plastic blade cover has been known to come off after a couple uses. Both feature quality blades that do an excellent job of shedding. But there is a difference in the design of the two products. The SleekEZ is simple in design, featuring a popular wooden grip that is attached to the metal blade. However, due to its unfinished nature, I did notice the edge of the grip snag on clothing and even gave me a splinter or two. But I was able to solve that by rubbing it with sandpaper to soften the edges. The design of the FURminator is a little more complex than the SleekEZ, having a couple more features. First, the softness of the handle or grip of the product makes it more comfortable to hold. Also, the added feature of the skin/edge guard makes this product safer to use. But the feature I really like about the FURminator is the FURejector that allows me to control where the collected hair goes, whereas, with the SleekEZ, fur goes everywhere. Both products can be bought directly from the manufacturer’s website. 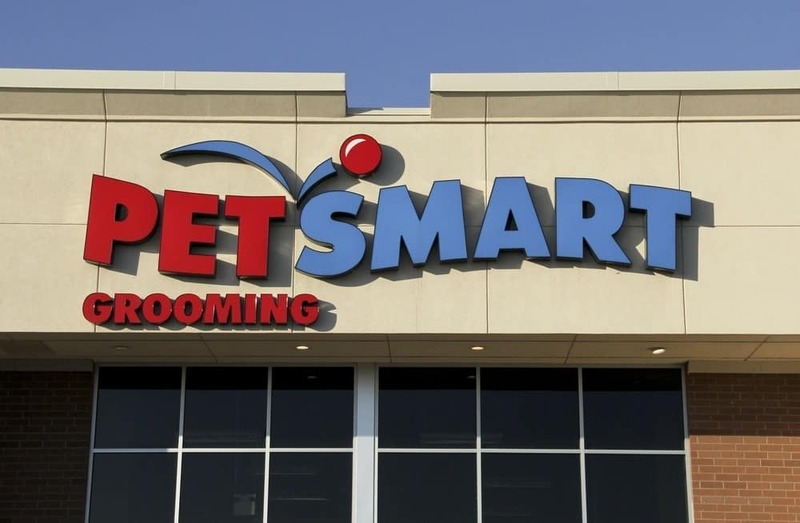 But FURminator products are more widely available and can be purchased at Pet Supplies Plus, Petco, and Petsmart. The SleekEZ, however, is not as widely available. In addition to the company’s website, you can purchase it online. But beware, both companies have had problems with counterfeits and fakes being sold online. Other companies claim to have authentic products, but these are known to harm your pets, damaging hair and cutting the skin. SleekEz has a lifetime warranty. FURminator has a 30-day money back guarantee. Also, note it must be purchased from an authorized seller. If you purchase from a third party, the warranty is void. SleekEZ will work on dogs, cats, and horses. FURminator has specific tools to work on cats and dogs. But I have seen the larger ones used on horses. Rottweilers have a tendency to shed year-round, but do more of the shedding during transitions between seasons. 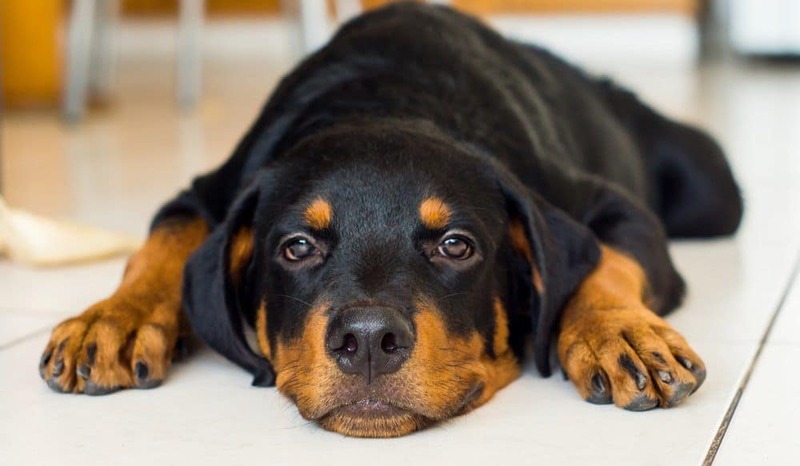 Both products work well on rottweilers as they remove any fur from the undercoat. However, owners of rottweilers claim the FURminator is slightly more effective in de-shedding. These products are highly rated and excellent at removing loose fur from the undercoat. What’s great is they both do the job without hurting your pet or damaging their skin or hair. No matter which one you choose, you’re getting one of high quality. But one way to decide is to compare ergonomics, price, and quantity and types of dogs you’re using them for. In comparison, the FURminator has a better ergonomic design, with a comfortable grip and raking function. As far as price, the SleekEZ has a lower price point, but as we said earlier, you can probably find cheap deals on FURminators if you search online. Lastly, one deciding factor among customers is the number of dogs they have, and the different types of coats they will use the de-shedding tool on. For example, customers with various kinds of dogs decided to purchase the SleekEz because they can use it on their husky and chihuahua. But someone in a similar situation would have to buy a FURminator for large dogs with long hair and also one for small dogs with short hair. We hope that you enjoyed reading our comparison guide.